The Weekly Project: How do you balance earning more with raising a family? 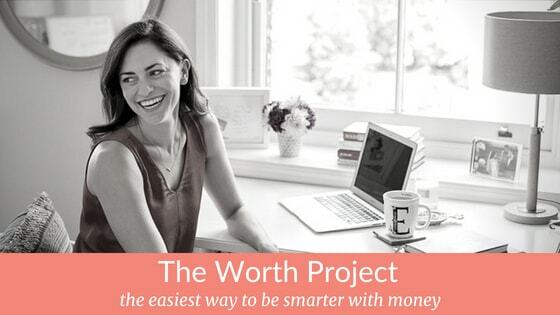 Yesterday I was chatting with a friend I hadn’t seen in a year and 10 minutes into our conversation she said, “I love that I can talk about money with you.” That exact sentiment is why I started The Worth Project. To create the right place for conversations about money. You know, that conversation where you can share your experiences and ask questions without judgment. Crazy idea. Over the past few months, I’ve been getting emails from women who are kind enough to share their money story with me: the ups, the downs, and the in-betweens. I was so inspired hearing their stories that I knew I couldn’t just keep them in my inbox. These were the money conversations that my friends were looking for. And a few months ago I surveyed the community here to see what people wanted more of. Overwhelmingly, people said they wanted to hear more stories from others just like them. So today I’m excited to share the first of a new series called “Money Talks” – conversations with real women who are doing really great things with their money, their mindset, and their life. My first conversation is with a Worth Project member who I am constantly in awe of. If you’re a Bravo TV fan you may recognize her from the Ladies of London. Or if you watched every minute leading up to the royal wedding (no shame in that) you may have seen her all over every channel talking about what it’s like to be an American marrying into the royal family. Because oh yeah, she’s married to the future Earl of Sandwich. But past those stories there’s more: she’s a mom of 4, she runs a yoga and wellness empire, and she struggled with the tradeoff between earning more and balancing it with her family. As she says, she’s gotten to where she is by working hard every day to create the right solution to financially support her family. Royals. They’re just like us. She’s inspiring, hard-working, and completely honest. 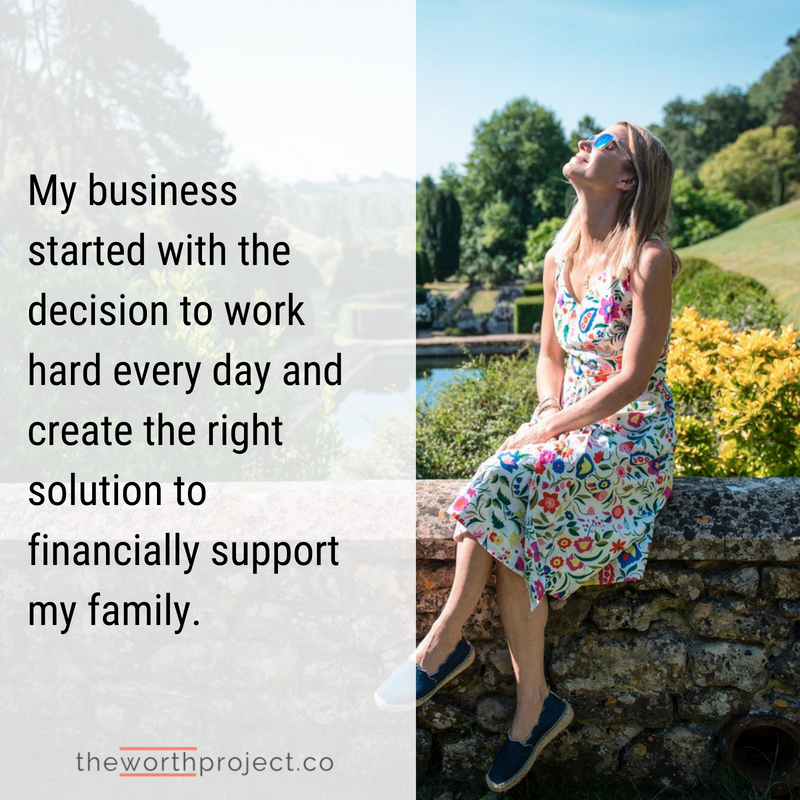 I’m so happy to be sharing her money story with you. Want to share your story? Let me know here. Money Talks. You skipped that intro, didn’t you? That’s ok, I’ve got you covered here. The first installment of a regular series that is (cheekily) called Money Talks. First up, Julie Montagu, Lady of London, Future Countess, and Yogi extraordinaire shares her money story. She is inspiring yet totally relatable. Travel tips. Because everyone loved the crowdsourced tips for home buying last month, I’m crowdsourcing this group again for your best travel tips to be shared in an upcoming article. Do you know how to buy cheap airfare? Score a deal on accommodations? Or navigate a city without going broke? I want to hear your best advice. Hit reply and let me know. Negotiating your parental leave? It can happen. Last month on The Everymom, I laid out 7 steps to help you negotiate your maternity leave. Leaning into optimism. I had a bad day. We’ve all been there. Yesterday was rough, for no particular reason, but part of the funk was money related. I usually try to power through it and force myself to be happy, but this time I followed the advice from the psychotherapists in this article. I didn’t feel better immediately but I woke up today with a renewed sense of optimism. Finding funding. I’m a podcast junkie and while I listen to some money podcasts, I usually stick to other topics for my usual roundup. So I was pleasantly surprised when 99% Invisible had an episode dedicated to following new podcasters, Zig Zag, as they tried to figure out their funding plan. From venture capital (VC) backing to cryptocurrency, they go through different financial scenarios and get advice from a podcasting hall of fame member, Roman Mars. Ticking time bomb? You may know that I had six figures of student loan debt from business school. And got rid of it quickly. Jordan had a majority of his business school program paid for by his employer. Great news, right? It was until we were hit with a large (surprising) tax bill at the end of the year for that gift from his employer. Now it looks like student loan borrowers on income-driven repayment plans might be handed the same tax bill. (hint: Income-driven repayment plans make it easier to payback federal student loans if you have a lot of debt compared to your income. The repayment is a percentage of your discretionary income. Anything not paid back after 20 or 25 years (depends on your loan) is forgiven by the fed.) Congress might fix this tax penalty before goes into effect, but in case they don’t, this is a heads up that you might want to plan for it.